Your Usbone Books and More consultant! It’s almost time to count down to the hour, with as many clocks as one house can hold. Cover your ears; it’s going to be noisy! 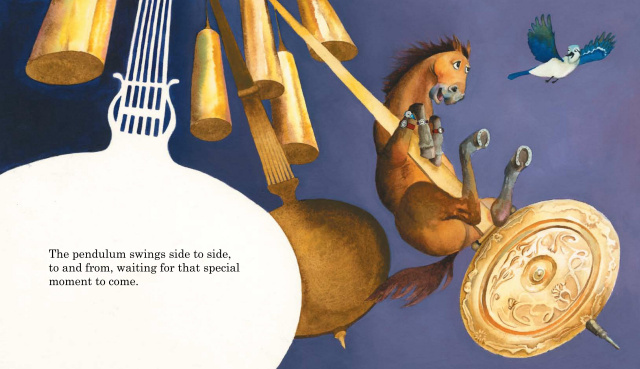 Chiming, ringing, buzzing and every other clock-sound imaginable fill the pages of this exuberant and energetic picture book. I’m a mom to two boys. My oldest has an obsession with clocks, so we spent hours and hours and hours in clock stores. The manager took time out if his day to come and show them the secrets of the clocks when the hand both point up. I captured this memorable time with my kids, and put it into a picture book. As you read, close your eyes and see what story each clock has to tell! Classroom activity: Have your class think of something they experience everyday and ask them to write about it using their senses.